If you are an active duty service member, you’re more exposed than others to the cyclical swings of the real estate market, since you have little control over when your moves happen. It’s often said that only three things matter in real estate: location, location and location. That’s not entirely true—timing can also make a huge difference in a property’s price. 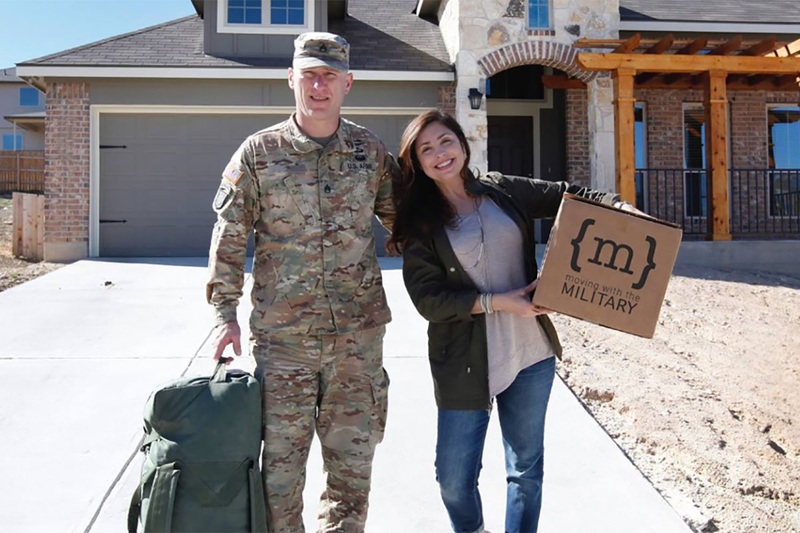 If you’re an active duty service member, you’re more exposed than others to the cyclical swings of the real estate market, since you have little control over when your moves happen. Take for example, when real estate is in a “seller’s market,” and there’s more demand for houses than there is supply. That results in higher prices and a tougher time finding a house that meets your desired specifications. A seller’s market is a great condition if you’re selling, but a tough one if you’re buying. No matter which side of the market you’re on, we’ve got pointers to help you make the best of the situation. Consider your alternatives. If the market’s pricey and supply is low, consider the possibility that buying may not be the best choice, particularly since a hot market may cool off by the time you move again, and could be facing the prospect of selling at a loss. There’s always the option of renting. And as a service member, you may have an ace in the hole—the option to live in government-provided quarters. In a tight market, however, on-post or on-base housing may also be in short supply. Even if you’re planning to buy a home, get on the housing wait list at your next installation list as soon as you can so the option will be there. Hire a pro. If you do choose to pursue a purchase in a seller’s market, the selection of a real estate agent carries extra significance. Since you are already starting from a position of relative weakness, it’s critical that your agent is highly competent, understands the veteran process, is able to provide precision advice on pricing and strategy, so choose carefully. There are not many Realtors out there who are veterans, but I served 5 years on active duty and still have many connections with the military. Get a pre-approval. Getting pre-approved for a mortgage is highly recommended in any market, but it’s an absolute must in a seller’s market. Imagine you’re a seller, and you receive two roughly identical bids. One has a financing pre-approval attached to it, the other doesn’t. Which one would you accept? Don’t delay. With a busy weekday schedule, you may be inclined to save your home research for the weekend. In a seller’s market, that’s a recipe for failure. The early bird gets the worm, so quickly get to showings and be mentally prepared to make fast decisions. Your offer must reflect the market reality. Maybe you’re used to driving a hard bargain in home purchases, auto dealerships and garage sales—but now’s not the time to be brazen. In a strong seller’s market, your offer price should be very close to the asking price or maybe even above it. Beggars can’t be choosers. The same warning about lowball prices applies to making demands and putting conditions on your offer—like asking the seller to throw in appliances or make cosmetic improvements. Don’t do it. Get ready to duel. In some seller’s markets, bidding wars are common. If multiple bids come in quickly, you may soon find yourself in a situation that feels more like an auction than a normal residential real estate transaction. When targeting homes to consider, factor in the possibility that the asking prices may be below what those properties will ultimately go for. And as you prepare your initial offer on a house, think ahead to how much higher you’re willing to go. That’s not to say your first offer should leave haggling room—it should be very close to your best possible offer. Put more earnest money on the table. Earnest money is a deposit at the time of an offer that demonstrates a buyer’s seriousness about moving ahead with the deal. If things proceed as planned, it’s applied at closing. A common amount is one percent of the offer price. Be flexible on your move-in date. While the norm is for the seller to be moved out on the day of closing, your offer may be better received if you’re willing to give the seller a little extra time. Don’t get cocky. Don’t let seller’s market confidence lead you to think you can cut corners. It’s still important to spruce up your home inside and out, and consider having your home professionally staged. Lure buyers with an attractive asking price. Particularly in a market where bidding wars are common, setting an initial price that’s slightly below the market rate may draw much more interest—and you may come out at above the market price anyway. Put a tighter limit on showings. In a buyer’s market, it would make sense to be as accommodating as possible, letting agents show your home any time of day or night. In a seller’s market, however, you may want to chum the waters by playing a little hard to get: Restricting the available hours can lead to multiple buyers strolling the house simultaneously. With possible bidding rivals right in view, their competitive spirit may be heightened—and their offer prices along with it. Here in Dallas we have a great organization called Veterans in Business who have many local veteran business professionals, including some of the best veteran-friendly Realtors in DFW like myself. Call me today if you are planning to move to the DFW area.